Geographical isolation is a part of life for many Queenslanders. But as Jane Pollard, Principal of Catalyst Accounting & Tax, discusses, some of the Sunshine State’s most remote businesses are bridging the physical gap by embracing digital connectivity. At the 2018 Women in Finance awards in September, I was honoured – and, given the high calibre of the other nominees, taken aback – to be named the Regional Professional of the Year. The award was a coup for the Catalyst Accounting & Tax team in Warwick and got me reflecting on our humble beginnings. Catalyst was founded in Moura, a small coal-mining town in Central Queensland, Australia, in 2010. Our closest centres, Rockhampton and Gladstone, were both more than 170 km away. We initially operated out of an abandoned church hall and had just one large client, but our customer base expanded rapidly, partly because there was only one other accounting firm – who were very much ‘old school’ – located within 60 km. After four years building our business, Catalyst moved south to a new home in Warwick in South East Queensland, a rural town 130km from Brisbane. The shift was typically challenging but, having adopted Xero software early on, we retained all our clients. The advantages and appeal of Xero’s single ledger were obvious to us from the outset. From 20 years’ experience working for tax accounting firms in Sydney, Kalgoorlie, the Gold Coast and North Tamborine, I was well-versed in the frustrating inefficiency of transferring data from one system to another. Meanwhile, due to my passion for excellence in bookkeeping, I had always found it a soul-destroying exercise to slip the year-end journal into a client’s file without an explanation of what it all meant. The boost to productivity was a major attraction of Xero of course, but its security benefits were just as important. Catalyst received a harsh lesson in the unreliability of ‘old’ technology and the advantages of cloud-based systems one harrowing morning. Our server crashed, taking many of our records with it because our back-up protocols weren’t up to scratch. Determined to avoid being at the mercy of capricious computers again, we made a commitment to make our data – as well as our clients’ document management – 100 percent cloud based. Xero’s file storage systems provided us with a level of security we simply couldn’t have achieved on our own. Our clients are a diverse bunch. They range from isolated roadhouses selling fuel and groceries, contract mechanics servicing farm equipment on huge properties and large-scale manufacturing businesses, to young entrepreneurs finding their feet and long-standing family-owned businesses striving to move with the times. The common thread among them is that they are resilient, independent thinkers with an entrepreneurial spirit (non-negotiable qualities to run a business out this way), who need to tick every compliance box and get a grasp of the profitability and viability of their business activities. Many of our clients are unfamiliar, or not particularly well-suited, to crunching the numbers and understanding them. But those we’ve mentored and guided through the process with Xero’s intuitive bookkeeping system have responded positively, and overwhelmingly enjoy the Xero interface. Previously painstaking and daunting accounting tasks are no longer intimidating and are far less laborious. Catalyst’s services range from reviewing a client’s file for the preparation of a business activity statement to being responsible for all compliance and reporting requirements from source documents. The Hubdoc app allows us to service any client in any location. After recently adopting Spotlight Reporting, with its integrated cloud reporting and forecasting features, we’ve extended our business advisor role to provide more detailed feedback on performance to our clients and translate their data into a clear pictorial format. Access to an internet connection is a bugbear for some of our rural customers, but there are few who are unable to get online regularly enough that it prevents them from effectively managing the financial side of their business. Xero is the essential tool for Catalyst to be the most effective and trusted business advisor we can be for geographically-challenged regional clients. New businesses are inclined to recognise the time savings and cost savings Xero brings, but our town clients have generally been more resistant to changing to a cloud-based accounting system. They’re set in their routine way of working with their accountant, are less willing to let go of the security blanket of ‘how we’ve always done it’ and are blinkered to the vast advantages of switching. But we’re steadily chipping away and winning over the conservatives. Those that make the jump never look back. Geographical challenges are inherent to most rural businesses. But through digital connectivity, isolation is no longer a barrier to efficient accounting. Clients’ records are vulnerable if not backed up on cloud-based systems. Xero, combined with Hubdoc and Spotlight Reporting, encourages clients to be more hands-on with their reporting. Young entrepreneurs are quick to embrace new technology, well-established clients less so – but the wheel is turning. Jane’s story is taken from the new issue of Partner Pages – a magazine of beautifully curated content, written by partners, for partners. Get your free copy at the Roadshow Australia 2019. 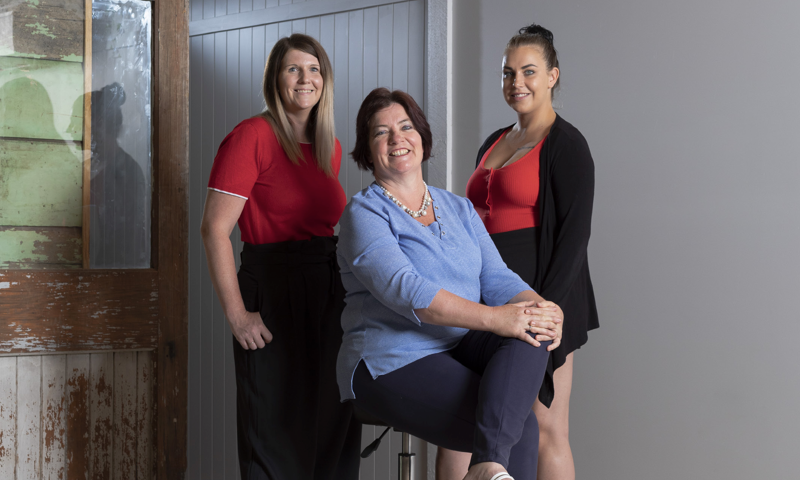 The post Partner Pages 2019: Creating a catalyst for change appeared first on Xero Blog.